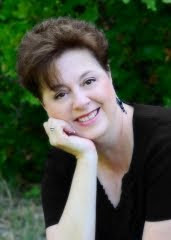 Interview with Tina Pinson and giveaway! First let me say, thank you so much for letting me visit your blog, Laura. I write Christian Fiction, because I believe God gave me the talent to write. Writing takes me places I'll probably never go. Words carry so much weight and I want to touch people with the truth. Not too much, I have more editing to accomplish and maybe a greater push to get more out there. But I didn't hit the bestsellers list or win any Nobel Prizes in literature, so my life is pretty much still the same. Where I've changed is my outlook on approaching marketing and editing. I've learned to promote myself more, and not be so scared. Yep, all that putting yourself out there can be somewhat scary, but I'm learning. Maybe I should be glad I haven't hit the big time yet, I might not have been able to handle it, at first. I have a few. Am still working on some I should have finished by now. But most of my time of late has gone to Changed/Tamed (haven't decided) by Mercy a sequel to Touched By Mercy, kind of a taming of the Shrew story. My setting might be places I'd like to go, a lot of times they're places I've been and want to use them in a story. Gosh, that's a hard question. I'm not really sure. Maybe a dignitary or something. I'm a klutz. I have five grandchildren. I love dogs. I like to draw, sing and speak. I like to grow a garden and do some canning. Would like to do more camping. My biggest obstacle, beyond editing was probably believing in myself. I had to realize that I wasn't meant to be another writer, I met to write with the imagination and heart God gave me. It's unique to the person I am. Others might have ideas on how I should write, but I still have to be true to who I am. I would tell them to write what touches them. Write their heart. You have your imagination and style for a reason. Don't let someone take that away from you. Don't comprimise yourself to please everyone. Please the audience of One. God. When Shadows Fall is what I call my OreGone with the Wind series. It follows Rebekah through the horrors of war and loss. And then follows her on her Journey to New Eden, or Oregon. There are battles and pain. And of course a handsome hero. Matthew. Maybe that even when life is hard there is a New Eden waiting. It might be across the world, or just a change in our mind and heart, The journey to get there might be harder than we hoped it would be, but it's one we must take and realize that God is always there with us, even when it doesn't seem that way. We have to take the first step. You're traveling on the Oregon Trail. Beyond God, your family and your supplies, what three things would you take with you on your journey. One commenter will win an ebook copy of When Shadows Fall. Two commenters will win PDF copies of story outtakes. Matthew's voice was soft, and appealing. Too appealing. His closeness, and the warmth radiating from his body, caused her heart to thrum. Rebekah decided to go in. Robert had been gone and thought dead for over a year. How easy it would be to fall into Matthew's arms. Let him comfort her like he'd done when she was a girl. They seemed like such strong arms. But she wasn't a child anymore. She was a married woman with a child and a sick husband who needed her. Her first love could be nothing more than a precious memory. Her heart grew heavy. She turned and was about to take her leave when Matthew asked about Robert. "If you'd rather not talk about it, I'll understand. I only wanted you to know if you need anything, I'm here for you. I'll help in any way I can." "That's very kind. Things are okay for now. Besides, I couldn't expect you to help the enemy." She stood still, afraid to face him. Afraid of the concern he'd show. "Rebekah, if you love him, and he cares for you, he's no enemy of mine." His reply was tender. He caught her shoulders, turned her to face him. "I mean that with all my heart." Rebekah nodded. He meant it. Her eyes misted. Her tears were building. If she fell into his arms, it was wrong to even think it, but... would he hold her close? Or had time changed everything? Still, she wasn't his to hold anymore. In reality she never had been, though she wanted to be. Did he wish it were different? She wished they could go back, but they couldn't. She had to accept that she would never be his, and be grateful for the chance to see him again. As the Civil War rages, Rebekah fights to keep her world intact. But loss and sorrow has seeped into her heart and mind. She sets her sights on Oregon, praying this new Eden will allow her a place of peace and a place to put her life, and that of her son's, back together again. She travels to Independence, Missouri ready to take the train west, but is denied the opportunity to join the train because she is woman alone. Matthew battles his way through one fight after another, all the while thinking of Rebekah. The woman who holds his heart. He longs to help her west, but fears his biggest battle lies ahead of him. Will Rebekah open up her heart to him and allow him to be the one to hold her When the Shadows Fall? Darlene Henderson’s life is practically perfect. She has an adoring husband who is soon to be named partner at an accounting firm in Houston, and the family has bought out the farm that used to belong to her grandparents. Her three children are all wonderful behaved. The only child to give her any trouble had been Chad, but he had seemed to be better since they moved away from the city. But small town life isn’t all Heaven on Earth. The teens are having trouble adjusting—especially sixteen year old Grace who’d begun coping in a dangerous way. And seems get worse when Darlene decides she isn’t needed any more at home, so she takes on a full time job working with educationally challenged children. When the widowed father of one of Darlene’s students begins to take an interest in her, Darlene feels someone hears her for the first time. Will her marriage survive her working outside the home? What about her children? NEED YOU NOW is Ms. Wiseman’s first non-Amish book and I could feel the passion flowing through the pages of this book—something I could never feel in her Amish books. This is a genre that literally sings for Ms. Wiseman and I hope she plans more of this type book in the future. The book has multiple points of views in it – from each of the children, the neighbor lady, the widowed father, Darlene, and her husband, just to mention a few. Each of the characters are very well developed, and one felt for them even though one didn’t understand or agree with the choices that are made. As a warning for more conservative readers, this book deals with some troubling issues that they might want to keep more their teen girls from reading about, and there is some social drinking included. I did enjoy the book, and give it 4.5 stars. Discussion questions are included at the end of the book. $15.99. 308 pages. Cal, Harlan and Buddy were best friends who grew up together in their small Virginia town just before WWII. They get into and out of all the trouble that boys manage to fid—they even earn a nickname from a local restaurant owner who gives the boys their first jobs and lots of advice. He nicknamed them The Mulligans because they seemed to find their way through girl trouble, school trouble, family trouble, and even war. Now grown, Buddy is a police officer expecting his seventeen year old daughter to give birth soon to his first grandchild. But the call that comes in that Harlan (who now owns a jewelry store) was shot in a robbery. Cal (a Methodist minister) and Buddy head to the hospital and start trying to figure out how Harlan might have gotten shot. Now Buddy must be tough as he tries to get the truth about the intruder and the shooting from the surprisingly reticent Harlan and his wife. Cal tries to comfort them all. But will their friendship survive this difficult period? THE MULLIGANS OF MT. JEFFERSON is the third book by acclaimed song writer/singer Don Reid of the Statler Brothers. However, I maintain the opinion of this book as I had of his first two… The book is slow moving, with long drawn out descriptions of their growing up years. It is kind of a coming of age story, written in a rather unusual sequence, but still readable. I don’t enjoy Don Reid’s books, but I really can’t put my finger on why. I end up forcing myself to read them. They are set in a Mayberry type town, with true to life characters and situations, so a lot of people would love them. I’ll just say, they aren’t my ‘cup of tea.’ Still others might love them. $14.99. 400 pages. Welcome, Cynthia, and thanks for visiting with us. Why do you write the kind of books you do? My goal is to tell stories that illustrate the beauty of walking by faith and encourage believers to remain strong even in hard times. My wedding day stands out as my most incredible day. My bridesmaids wore dresses with lavender and blue flowers, and I carried a single cattleya orchid on my mother’s Bible. The photographer wanted to snap a picture of our hands on a Bible. So my husband turned to Ephesians 5 and placed his fingers under the words “Husbands love your wives.” He’s done a wonderful job doing that now for almost thirty-four years. I’ve always been a private person, but writing forced me to change. When I put my thoughts on paper, I’m letting people peek into my mind. Informed Consent, by Sandra Glahn and Willian Cutrer. I’m working on a historical fiction novel set in my hometown during the Civil War. I’d love to visit Scotland and see Balmoral, which is a royal castle. The stories in Struggles and Triumphs come from women in history, so I couldn’t choose settings. For my novel, Pursuing Gold, I wanted to share the history of my hometown. I always enjoy conversations with intelligent people who can look at a topic from all angles. But I don’t have any particular person I’m itching to meet. I’m good at public speaking, but I’m quite shy. When I tell people, they are shocked because I’m so comfortable in front of a crowd. My mind works all day long. During sermons I can listen and research Scripture at the same time. However, because I’m always thinking, I tend to avoid listening to the radio. I don’t like talking on the phone. Whenever I get a phone message I put off returning the call. On the other hand, I love email, and I usually type an answer right away. I’ve dabbled in all sorts of hobbies. When my kids were young, I played piano duets with the girls and sang duets with my oldest son. Also we often rode bicycles together on vacation. For birthdays I baked and decorated a suitable cake for each child. To enhance my homeschooling, I took several art classes and learned a little about watercolors. I love growing orchids in my home and have several varieties. Flowers of all kinds fascinate me, and I make arrangements of orchids and cut flowers for my church. I’m succinct when I speak, and I write that way too. Describing scenery poses a challenge because I’d rather be telling the story. I have to drop myself into the scene and look around at what’s there to improve the imagery. First, attend writing conferences. You’ll learn how to write and what’s going on in the industry. Plus you’ll get to know people and networking is a huge part of writing. Second, join a critique group. You won’t see your own mistakes, but someone else will see them or let you know you haven’t been clear. Third, try to find a writing group close to your home. You’ll make lifelong friends this way and help each other get published. Have you ever wondered what’s wrong with our world? Shouldn’t a God who claims to be all powerful and flawless prevent suffering? How can we continue to believe when storms rage on in our lives? If you’ve ever had tough questions like these Struggles and Triumphs Study Guide is the book for you. It will guide you toward solid Biblical answers. This twelve-week Bible study for ladies comes from stories of real women as told in Struggles and Triumphs: Women in History Who Overcame. As you study, you’ll come to understand God’s perspective on timeless issues that impact your life. The carefully chosen Scriptures combined with interesting historical information will challenge and encourage you. I hope the ladies who use my book will grow in their faith and learn how heartache can make them stronger believers. Its 1773, and Hayward Morgan is a young gentleman destined to inherit his father’s estate in Derbyshire, England. The local vicar’s daughter, Eliza Bloome has a “crush” on Hayward, but even though she is beautiful and spirited and even though her father has a sizeable dowry for her, Hayward is not interested. Circumstances put Eliza in Hayward’s part and they flee to America to escape family conflicts. But as the war between Great Britain and the colonies looms, its only a temporary reprieve. Hayward joins the revolutionary forces and what struggles is a test of survival and a test of faith. Will they find lasting love in the unforgiving wilderness? BEFORE THE SCARLET DAWN is the most recent book by Rita Gerlach. I read Surrender the Wind and loved it so I looked forward to getting BEFORE THE SCARLET DAWN to review. So… I’m not really sure how to write this review. This is a very hard book to write one on. It’s obviously not finished, as there is no closure, and no happy ever after. So, I guess the story will continue with the next book in the series. Eliza is a confusing character. She won't marry a suitor in Derbyshire, even though she would live in comfort for the rest of her life. He openly lusts after her, but Eliza is adamant that she won't marry unless love is involved. However, she willingly marries Hayward, even though he openly declares he doesn’t love her and never will. Sometimes, Eliza acts really naïve, yet, the next moment she appears cold and calculating. Hayward isn't much better. BEFORE THE SCARLET DAWN is not a book you’ll want to read as a stand-alone if you want a happy ever after story. This is one I’d recommend waiting for the series to be complete so you can read all three books straight through. $14.99. 326 pages. CRAVINGS is an adorable cupcake devotional card holder, trimmed in roses and accented with sweet treats. Every morning, you can read your devotion and place it in the wire holder as a constant reminder of God's love and faithfulness. Holds forty devotions; 3.25" x 3.5"; resin. This is a devotional that would look adorable on the kitchen counter, the middle of the table, or beside your computer at work. A cupcake that you won’t gain weight on. The devotions are short and sweet, easy to fit into a jam-packed day full of babies, toddlers, preschoolers, or older kids, and work. These aren’t deep devotions, that will help you grow as a Christian. Rather they are just tiny reminders of God’s love and faithfulness. Recommended. The perfect gift for mothers, bakers, or anyone who loves cupcakes. $14.99. 40 cards with cupcake holder. Interview with K. Dawn Byrd and giveaway!! What kind of research did you do for Shattered Identity? The only research I did for Shattered Identity was regarding the designer drug, bath salts. I needed to know how a person would act who was high on bath salts. How did you come up with the plot for Shattered Identity? Several people who read Mistaken Identity, emailed me and asked me to write a sequel. They wanted me to write Lexi's story. Lexi was unsaved and living the lifestyle of a party girl. I carried that over into the Shattered Identity plot. Actually, none of my life experiences carried over into this book. I've never abused drugs and I'm lucky enough to say that I've never been in an abusive relationship. I do not write about my own personal life in any of my books. I'm a private person and choose not to write about myself, my family, or my friends. I absolutely love suspense. Brandilyn Collins is my favorite Christian suspense author. Lisa Jackson is my favorite secular suspense author. I've been an avid reader from the time I learned to read. Now, when I read, my internal editor is on high alert as I study other authors and their technique, hoping to make myself a better writer. All of my books are written in 30-day marathons. I write 2000-2500 words per day, put the book away after 30 days and then go back and edit, fleshing out the plot. I must have total peace and quiet, which is unfortunate. I could get a lot more done if I didn't. I absolutely love the internet, but find that I must limit my time surfing if I'm to meet my word count. I don't use facebook, but sometimes I'll search the internet for things that are important to certain characters, such as teens. Ask a question for the readers to answer to be entered into the giveaway. What would you consider to be a warning sign that you're entering into an abusive relationship? List as many as you can think of. Jill King is a talented concert pianist. She’s on her way to play at Carnegie Hall, when a subway accident takes her career from her in one unexpected blow. Now, a year later, Jill is living in Nova Scotia. She is thankful that she is alive and that she still has the love of her life, Greg, but still bitter that she lost the ability to play the piano—a passion she’d built her life around. With the death of Jill’s most important dream, a nightmare, even scarier than she imagined, comes to life. Jill is terrified that an inferno will destroy her town. She sounds the alarm, but this could cost Greg his political ambitions as well as their relationship. Not to mention, the townsfolk assume she’s lost more than her musical ability. Inspired by a real life even in 1917, LOST MELODY is a well-written story by two authors who are both best sellers in their own right. Jill is a very realistic character, scarred in more than one way by the unimaginable tragedy that took her life-long dream, and facing another nightmare of horrific proportions. I especially liked the character of Robert who only appeared sporadically in the story. He was such a treat. If you are looking for a good women’s fiction novel to read, then I recommend LOST MELODY. $12.99. 350 pages. We’re all busy, but that doesn’t mean we have to eat like we are. You don’t have to stop for fast food or carry out on the way home from work nor do you need to feed your family commercially packaged meals full of sodium and preservatives. Quick and healthy meals from your very own kitchen are do-able with this cookbook. And much more are included in this thick book. Each of the recipes can be made on the grill or in the sauté pan or the crockpot. And the recipes require less hands-on preparations than traditional meals. There are appetizers and desserts, one-dish casseroles, and soups, even breakfasts, and for those who like to make ahead, there are meals that are freezer friendly. Only complaint I have is that this cookbook is full of things that I don’t keep on hand at my house. So if I wanted to make a recipe I’d have to plan ahead and make sure that I have all the ingredients. That would be a deterrent for most women I think, unless you’re in the habit of keeping things like heavy cream, pancetta, or espresso beans in your home. This is a cookbook for a organized busy woman, whether she works at home or in a workplace. 3.5 stars. $14.99. 253 pages. Wande Fleischer has come to America, and Texas, specifically, to marry her intended, but tragedy befall the family almost immediately upon their arrival in the states. The Fleischer do make it to Texas, but close to Christmas finds themselves stranded in a muddy rut with a broken ankle, and the mother incapacitated. A wagon does come by, the people onboard continue on past without stopping to help, so Wande’s father has no choice but to walk to town to try to find help. While taking his mother and sister Christmas shopping in town, rancher Jud Morgan purposely passes a broken down wagon because it carried Germans. His family is upset at him for refusing to help, but Jud is resolute. He hates the German settlers, convinced they are stealing jobs and land from those who fought to free Texas from Mexico. However, as fate has it, Jud runs into Wande’s father in town and due to his mom’s insistence takes the family home with them, while the mother recovers from her injuries. Jud is attracted to the lovely, Wande, but can he overcome his prejudices and let himself love her? LONE STAR TRAIL is the first book in the Texas Trails series. The series itself will be written by different authors, but this debut book in the series is penned by Darlene Franklin. I can honestly say this is the best book by Ms. Franklin I’ve ever read. Her shorter books had been rather blah, but this one was good. She excellently portrayed the history of the area with the German settlers, something that has been usually overlooked in history books. I enjoyed getting to know both Wande and Jud and the differences in their cultures. I liked that it took Jud some effort to learn to appreciate Germans instead of just immediately seeing the lovely Wande and that ending his prejudices right there. This is a book that historical romance readers will want to read. I’m looking forward to reading the next book in this series. 288 pages. $14.99. Kylie Summers fears for her life. With her brother’s help, she flees her home for the protection of a former Coast Guard man living in a small Virginia town. Nate Richardson is Bruce’s best friend, and he agreed to let Kylie stay a week, no longer. But it is pouring down rain when Kylie arrives, and when Nate gets there, he wears a hood so he doesn’t get wet. Kylie freaks out and runs and Nate chases her. He ends up getting hit over the head with a rolling pin. Being kind-hearted, despite his hurting head, Nate still agrees to let her stay, but he tries to keep her at arm’s length—but then her stalker emerges from the shadows, forcing Nate to choose between keeping guard over his heart—or Kylie. KEEPING GUARD is one of Ms. Barritt’s suspenses, and if you like that type of book, it will keep your heart pumping. I’m kind of glad that the hero wasn’t the what-seems-like-mandatory-for-this-line FBI agent or police officer, but instead, an ex-military man, eking out a normal life for himself in a small town. That was a major plus. He is kind-hearted, if a little grumpy at times, and willing to do anything for his best friend (Kylie’s brother) even “babysitting” a scared-out-of-her mind heroine. I have loved Ms. Barritt’s cozy mysteries, and wish that were still a popular genre. She absolutely shone in that line. In this line, the story is a bit predictable, but she has the genre down pat, she knows the formula and the writing shows it. Discussion questions are included at the end of the book. $5.50. 214 pages. Once again, author Ronie Kendig takes us deep inside the world of the US Special Forces in this fourth installment of the Discarded Heroes series. She remains true to her passionate portrayal of operators who operate outside officially sanctioned parameters, facing incredible odds with a bemusing smirk and a nonchalant, “What? Again?” attitude. In this volume, Team Nightshade is systematically dismantled by outside forces that seem to know everything about them. Scattered around the globe, the team must somehow reconnoiter in order to face their enemies. Former Marine and current Nightshade team member Griffin Riddell forgot to “check six,” and winds up in prison for a crime he didn’t commit. Which is a troublesome issue for Kazi Faron. The covert operative has the dubious task of re-assembling Team Nightshade. Failure is not an option. For Kazi, money is not the issue. Looking beyond the mission, she has a clear view of her ultimate goal . . . freedom. While Ronie Kendig continues to craft elaborate plots and mesmerizing story lines, interlaced with plenty of special forces action, this particular story was, in this reviewer’s eyes, incredibly “busy.” One never really gets a chance to settle in to a scene before one is whisked away half-way around the world to another scene. Trying to keep them all separated, and hold the main plot in focus, made the actual reading of FIRETHORN difficult. Having said that, I will still be standing in line for the next installment in the Discarded Heroes series. 348 pages. $12.99. National Card and Letter Writing Month is an opportunity for all Americans to rediscover the timeless and very personal art of letter writing. Both in times of peace and conflict, cards and letters are the most effective way to share and permanently record our thoughts, prayers, hopes and dreams. (Postmaster General John E. Potter). What cards and letters have you held on to over the years? As I looked through my memory box of correspondence, I discovered several categories. Even though I send few cards and letters now, I still enjoy receiving them. But I’m reconsidering this lost art of letter writing. I know others appreciate receiving them as much as I do. And a few friends and relatives don't communicate online. I think the following messages would warrant an old-fashioned card or letter. Thank-you note. I've fallen short with "thank-you" etiquette, but I know most people appreciate a written note of thanks, and many expect it. Thinking-of-you note. Often it's hard for me to tell people how I feel face-to-face; so, I seem to express myself better by writing them. Congratulations. I’m always thrilled when I receive blessings from old friends and family. Love letters. These private notes can become treasured keepsakes for loved ones or even part of our recorded legacy. Tribute. Words of praise might be difficult to write. But if you sense an expression of gratitude or praise is appropriate, you can be sure that you will find the words you need to express your thoughts. Reconciliation. Have you written that letter to end a conflict, resolve some differences, or restore a friendship? “The moment you realize God’s purpose, which is to get you rightly related to Himself and then to your fellow men, He will tax the last limit of the universe to help you take the right road. Decide it now—‘Yes, Lord, I will write that letter to-night’; ‘I will be reconciled to that man now’" (Oswald Chambers). What card or letter will you write today? Karen has donated this article to be used by CLASSEMINARS to help get the word out about the next CLASS Christian Writers Conference this fall. Karen has attended every year except one, since 2004, and because of her interaction at the conference, she is reaping an expanded network in the writing industry as well as seeing amazing doors opening up for her this year. If you're interested in attending the conference, or would like to hear about their early bird special (expires the end of April), click here for more information: http://bit.ly/H4hMYu/. Indeed, the author seems to pick up where Lewis left off, addressing in 21st century terms the very essence of spiritual warfare, and describing with uncanny theological detail the “heart” of both the kingdom of darkness and the kingdom of light. Richard Platt, among other things, seems to be that most rare of individuals, a disinterested observer of life. Not that he is actually disinterested; rather, it is this quality that lends the stamp of authority to his observations. He calls it not as he sees it; rather, he calls it as it is. It is this quality (along with his genius at coming up with devilish cognomens for his characters) that makes AS ONE DEVIL TO ANOTHER so appealing. Indeed, once you begin AS ONE DEVIL TO ANOTHER, it will hardly feel as if you are “reading a book” at all; rather, you will be the proverbial “fly on the wall” as you observe the interactions between a senior administrative devil and his young protégé. There are numerous historical and literary references to C.S. Lewis and his writings, which ought to make scholars and students of this Oxford Classicist feel right at home. 192 pages. $15.99. When Eve ate the fruit, we lost the out on the perfect life—but that doesn’t stop us from trying, does it? What would happen if we stopped trying to be perfect and started trying to be His? And MUCH more. There is a chapter for every issue that we, as women struggle with, including pain in childbirth, submission, discouragement, wanting what we can’t have… this is an absolute must read for women. There is a study guide included at the end of the book—I think I would have liked it better if it were there at the end of each chapter instead of at the end, but at least it is there. This is an ideal book for women’s groups, book study, small groups, and more. $12.99. 187 pages. Michael Warner’s grandfather has just died, and suddenly Michael finds himself a millionaire. His grandfather was a best-selling author. But the will is barely read when the grandfather’s agent calls Michael talking about a book contract—a biography about his grandfather. Michael is torn. The agent wants stuff that grandfather was always tightlipped about. How and where did Michael’s grandfather meet? Where did he grow up? What about his growing up years? Michael doesn’t know these things. And neither does anyone else in the family. Until Michael discovers an unpublished manuscript in his grandfather’s typewriter suitcase. And a journal that states that Grandfather was leaving this for Michael to find—and to decide what to do with. And suddenly, all the secrets becomes clear. THE DISCOVERY is the most recent book by Dan Walsh. It is really slow starting and took me well into a hundred pages to get into, but then it got exciting and hard to put down. I enjoyed reading the grandfather’s manuscript more than Michael’s own story, really, and wish Mr. Walsh would have stuck with that as a solo story, not mixed into modern times. The story within the story is a very interesting twist on a real life WWII about German spies being sent into America on u-boats. I thoroughly enjoyed that story, literally not being able to put it down. If you enjoy WWII stories, then you will want to read THE DISCOVERY. 4 stars. $14.99. 345 pages. Q: How can we find what you refer to as “divine perspective” on life’s purpose? A: I believe deep down everyone questions and hungers to know why they were created. I also believe God does not create things in vain. Everything He creates has a purpose. The Scriptures are very clear on our purpose in life. Whether it is obeying the great commission to make disciples or God's instruction to be productive and to multiply, the Word of God has the answers every time. Not only is the Word supposed to be a light unto our path, but it is also profitable for instruction in righteousness. I believe a person will never know their divine purpose and assignment unless they take time to read God's Word and follow His instructions. Jesus, put it this way, "man cannot survive by bread alone, but by every word that proceeds from the mouth of God." We can pursue the various things that the world system has to offer, but the truth is we were created to serve the living God. Only the things that we do for Him truly matter. Q: Do you think that Christians have lost hope for our country today? A: No! Not at all. But many Christians are not fighting for a Christian nation either. And I am not talking about the men and women in the military. I am talking about the millions of American Christians that are allowing the Biblical foundation of this country to be uprooted, disregarded, and replaced with a belief system that denies the Lordship and deity of Jesus Christ. For example, the Bible and prayer have been removed from our schools, the 10 commandments from the courthouses, gay marriage has been legalized, mosques and Muslims are increasing in number throughout the United States. Instead of spreading the Gospel and defending truth, many churches have evolved to entertainment and even suppressing the truth. If Christians in America do not begin to stand up for God's Truth and for what they believe, Christianity will be suppressed just like it was suppressed in Bethlehem and we will be the minority instead of standing with God's authority. Its time to wake up America! Q: Do you believe that most Christians are not achieving their goals and purposes? A: Unfortunately, yes. We could look at the number of divorces within the Christian community, the number of foreclosures, the number of church failures, the number of bankruptcies, the number of church scandals, the amount of illness within the body of Christ. But those are just the headlines. Most Christians do not know how to hear the voice of God. Jesus said, "My sheep hear my voice." If you are not hearing the voice of God, chances are you are not fulfilling His purposes. Most Christians are not applying Biblical principles in the management of their relationships, their finances, and their physical health. We buy houses we cannot afford, we buy new cars every five years on borrowed money, and instead of obeying God's command to be productive, we consume everything the world is offering. At the end of the day, the world system has robbed us of our time, our talent, and our treasure and the strength and resources we need to fulfill our God given goals and purposes. Charles R. Ambroselli, CPA, CFP®, is the founder pastor of Kingdom at Mount Zion Family Church in Marietta, Georgia, and is happily married and the proud father of three beautiful girls and a newborn son. He is a certified financial planner, a certified public accountant, and a Qualified Kingdom Advisor™. Charles earned a bachelor’s and a master’s degree in business administration from Saint Bonaventure University. Both degrees are concentrated in accounting and finance. 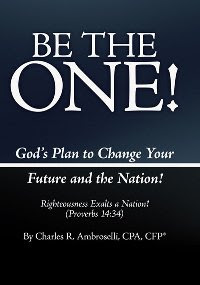 Currently, Ambroselli is a doctoral student at Christian Leadership University. He also has completed academic programs at the College for Financial Planning and at the Christian Living Bible Institute. Jeannie Nelworth has lost her husband to a car accident, and now her home and her business to a fire. But she’s still maintained her perky attitude, holding everyone at bay, hiding her fear and pain behind excessive happiness. She has a thirteen year old son, Nicky, who is struggling with the loss of everything, but in opposition to his mom’s perkiness, Nicky is dark and sullen. Chad Owen has lost his fiancée in a fire, and now, as a fire marshall, he knows the warning signs. Nick Nelworth is trouble waiting to happen. Determined to curtail it, Chad tries to befriend the boy, getting him to walk the fire house dog—a paid position in a town with volunteer firefighters—and reaching out to the boy’s mother. Soon he realizes that Jeannie isn’t as overwhelmingly happy as she seems—she’s hiding a lot of fear and pain behind it. And Nick isn’t as he seems either. But with Chad’s history, is he really willing to risk loving and losing again? FALLING FOR THE FIREMAN is Allie Pleiter’s most recent contemporary romance. I thoroughly enjoyed getting to know solid, dependable, quiet Chad, and the more bouncy and outgoing Jeannie. Jeannie feels the heights and depths of emotions more than Chad, who kept his life on more of an even keel. Nick was definitely your normal teenager, complete with attitude. I had to cheer Chad for stepping into the boy’s life like he did, and putting up with the sullenness, drawing him out, and helping him. This is a sweet romance with issues that will keep you reading. Discussion questions are included. $6.50. 278 pages (large print). Veterinarian Eric Wilson is stunned when his three daughters take finding a new mom into their own hands by placing a classified ad in the town newspaper. He’s even more upset when he learns that his mother was in on the scheme. Amy Spencer takes the call, since she works temporary at the newspaper office. She’s charmed by the three young girls and their grandmother, whom she meets when she hears something break and then silence. Afraid someone was hurt, she leaves her job and races to the house where she finds nothing more than a mischievous dog, the adorable girls, and the sweetest grandmother. But the ad turns into more than an ad, instead it is front page news when the town reporter hears the story. Eric is not so happy when his story hits the front page news, and even less thrilled when his struggling veterinarian practice suddenly is at capacity with single women without pets. Not knowing how to handle it, but blaming Amy, Eric goes to offer her a job. She accepts, at least until she leaves town, but…is she really going anywhere? And if she is, will Eric let her? DADDY’S LITTLE MATCHMAKERS is a charming romance filled with delightful little girls, quirky characters and a romance that will make your knees weak. Amy is a sweetheart, kind and considerate, though far from perfect, and Eric, in contrast, was irritable and cranky, not at all the stuff of your normal romance. Still, I couldn’t help but fall in love with him. This was a very sweet romance that you needn’t be ashamed to share with your teenaged daughter or your grandmother, yet there’s enough sparks to satisfy anyone. If you are looking for a great beach read, then DADDY’S LITTLE MATCHMAKERS is a book you’ll want to consider. Discussion questions are included at the end. $5.75. 217 pages. The month of April is in fact, the time set aside to celebrate a good chuckle, a guffaw or a hearty laugh as part of a faith-filled life. It’s Holy Humor Month! In other words, while life here on this planet is no joke, there are times when laughter is appropriate, healthy and pleasing to God. So tune up those vocal chords and let loose a giggle or guffaw, a chortle or chuckle, a snicker, a snort or a shout. Let it fly and exclaim to the world the JOY of the Lord! Deborah DeArmond is an experienced and sought-after coach, trainer and speaker, having worked with audiences at all levels. She has 30 years of expertise, training and teaching in the areas of relationship, communication and conflict resolution. Known for her dynamic style and ability to engage her audiences with a sense of fun along with her direct style, Deborah mixes creativity, humor, and insight and delivers her message on point every time. 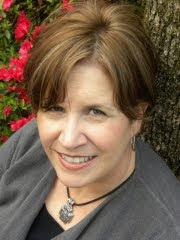 Deborah is co-founder and featured author at MyPurposeNow.org, an online site for Christian women 50+. Additionally she is a featured author for two online magazines, Destiny in Bloom and Living Better at 50. She is a CLASSEMINARS, Inc. graduate. COOKING: JUNIOR CHEFS IN THE GAME is a fun new approach to teaching kids how to cook. Written with some sports terms, this is a cookbook that starts with the basics, how to measure, what cooking supplies you will need, how to use them, cooking terms and abbreviations and more. Nutritional guides are included as well. Then the cookbook has a whole slew of great recipes, ranging from super-easy, I want a meal fast types to slightly more complicated (but not hard). There are recipes for snack foods or appetizers, mini-meals, beverages, muffins, desserts and much more. COOKING: JUNIOR CHEFS IN THE GAME is a cookbook especially designed for kids (girls and boys) ages 7 (with help) to adult to teach your kids, grandkids, or even yourself, how to cook. A winner with my team. $12.99 170 pages. 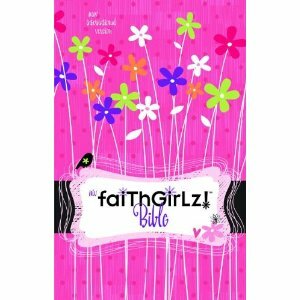 THE FAITH GIRLZ BIBLE is a bible designed specifically for girls ages nine through twelve. It has a girly pink, flower design on it’s hardcover, and includes special features to help boys dig deep into the Word and learn about God, the people, facts and stories in the Bible. This is a Bible that is sure to appeal to your tweener girl, one that she’ll be proud to carry to church, and even to read at home. The special features will help her develop a friendship with the Bible and draw her attention into the word. If you are looking for a Bible for your tween girl, then pick up a copy of THE FAITH GIRLZ BIBLE. It is sure to appeal. Recommended. $27.99 hardcover. Heather Hampton is a Seattle architect, looking for a Valentine’s Day engagement to her boyfriend, Richard. Yet when a promotion hinges on the sale of the family farmland, Heather is anxious to get her hands on the money—but her mother is balking. So Heather ditches Richard on his birthday, and heads to the last place she ever wanted to go. She plans to return home, signed contract in hand the next day. But the trip to Moses Lake isn’t without incident. Richard breaks up with her via the phone in the airport. At the bus station, Heather’s purse and all her ID is stolen, leaving her stranded and at the mercy of a dentist. And things go from bad to worse when she discovers the family steeped in secrets. And where does handsome banker, Blaine Underhill, fit in to all this? He’s opposed to Heather’s project, and Heather is beginning to wonder, are Blaine and her family crooks? The truth might cost her everything…. BLUE MOON BAY is the most recent book set in Moses Lake by Lisa Wingate. I fell in love with Ms. Wingate’s writing with Never Say Never, and I was glad when I got the opportunity to read this book. Ms. Wingate has developed characters that are very real, three-dimensional, that could be walking and talking on the street right now. Attention to detail brings the reader into the setting, into the emotions of the characters, and pulls you along to the end. If you are looking for a contemporary, then BLUE MOON BAY is a book that shouldn’t be missed. Spell-binding, lyrical, and engaging. Discussion questions are included at the end of the book. $14.99. 380 pages. Girls today are convinced that their social life would end without their cell phone. Most credit their phone with improving their life. And studies have shown that the fashion magazines that girls look at lower their self-esteem by 80%. By the age of thirteen more American girls are unhappy with their bodies and this makes a huge jump by the age of seventeen. The trends show that today’s Cell phone generation of girls is surrounded by images that cause negative thoughts. When you add gossip, guys, and growing up, with the social media culture, it creates an unstable foundation on which to build self-confidence. GOD, GIRLS AND GETTING CONNECTED is a devotional written especially for teen girls. With the kind of media that girls are constantly surrounded by, girls need encouraging things to read, and GOD, GIRLS, AND GETTING CONNECTED is a positive, straight-talk, devotional to help guide girls through every day battles. The devotionals start with a question in “teen lingo”, then God’s “text response” from the Bible, insightful reflections, and a daily spiritual app to help girls relate biblical wisdom to everyday needs. When I first saw the lead-in for this book, I thought there would be those funny-looking bar code things for girls to scan into their phones for their daily readings. For girls too connected to their phones to pick up a book, that would be a plus, but there aren’t any of those included. Instead, this is a real book, that you sit down and read, to spend time with God. If you are looking for a positive devotional for your teen girl, then pick up a copy of GOD, GIRLS, AND GETTING CONNECTED. It is a book that my sixteen year old daughter loves for her devotions and I’m sure your daughter will too. $11.99. 169 pages. Carrie Daly’s husband died during the Civil War, leaving Carrie living with her brother, Henry. But now Henry is getting married. He tells Carrie she’s welcome to stay, and keep her room, but with the arrival of his new wife, Mary, and her two sons, everything changes. Mary insists on her boys taking Carrie’s room, and moves Carrie up to the attic. Not only that, but she treats Carrie as nothing better than a slave, and soon Carrie has enough. Griff Rutledge is a wanderer, a former member of Charleston society, but estranged from his family for years. He never stays in one place too long, and is only in Hickory Ridge because a woman who owes him a lot of money is there. He is determined that she will pay him back. Griff is offered a job to train a race horse, and when Carrie moves into town, they see each other a lot. But things are rough on her brother’s farm. Henry has left for Chicago, and his wife is helpless. She insists on Carrie moving back home. With Griff soon heading overseas to Australia, and Carrie on a remote farm, is there any hope of them making a commitment? BEAUTY FOR ASHES is the debut inspirational novel by Dorothy Love. It is a very excellent story and I’m glad I had the opportunity to read it. Carrie is very much a Christian woman, but she is no doormat and tempers flared a lot between Carrie and Mary making the home less than ideal for anyone. Griff had a bad reputation as a gambler, and people in town are convinced they don’t want his kind there. He doesn’t seem to mind his bad reputation and keeps his sweet spirit throughout the book, charming Carrie completely. I hoped that these two would find happiness and had to keep reading to see what happens. Discussion questions are included at the end of the book. $15.99. 330 pages. THE MONEY $AVING MOM’S BUDGET is a book that will help turn your family’s finances around. Based on sound wisdom, this book will help you put together a budget, encourage you to pay cash (and not use credit), to pay down your debts as quickly as possible, and to take control of your life. Each chapter includes stories by real people, like one couple who lived in a run-down trailer until they saved enough to buy a house, and then a second car, debt free. It also includes dozens of ways to save money, stretch your dollars further and bring in extra income. Worksheets are included at the end of this book that you can either use, in the book, or use as a guide to work on their own notebook paper if the don’t want to deface a book. I enjoyed reading through THE MONEY $AVING MOM’S BUDGET and look forward to implementing some of the suggestions in my own life. There are rules broken down into twelve months so you can introduce yourself to a new financial habit, one month at a time. Like for instance, you could dedicate one month to learning how to use coupons, shop by sales flyers, and save money on groceries. You can learn another month on how to put a little bit of money away in a fund for Christmas so you don’t go in debt for the holidays. Excellent resource for moms, dads, couples, and even singles. $14.00. 207 pages. Rachel Dunne has fled Ireland, accused of murdering a child under her care. Rachel is a healer, but she vows never to sit at another sickbed since she no longer trusts her ability—or God’s mercy. Even though she is found innocent in Ireland, she still must leave because there are those in the community that believe she’s guilty, that justice wasn’t done. Afraid for her family, Rachel takes a job as a servant in a London physician’s household, categorizing his books. Doctor James Edmunds is moving to the country to become a gentleman farmer, at his father’s deathbed request. He isn’t sure he wants to go, but feels he must since someone else is raising his poor motherless daughter. He never expects to be attracted to a mere servant girl, an Irish one at that, in his employ. With the British disliking the poor Irish as much as they do, Rachel doesn’t find a friendly reception in Dr. Edmund’s household. She is attracted to the handsome doctor, but shies away from his every request for her to help him with patients. James doesn’t understand why since he’s seen her care for injured street urchins with great attention and care. When the truth about Rachel is revealed, will her position be lost? Or will James be able to forgive her and offer her something more? THE IRISH HEALER is Ms. Herriman’s debut novel, the runner-up in the historical fiction category in the ACFW Genesis contest. This book truly did deserve these honors as it was gripping in it’s plot line with realistic characters that we couldn’t help but fall in love with. Lilly and Rosie are both daughters of fortune. Lilly is most happy on her family’s Montana ranch, while Rosie is happy with her New York City life. When Lilly is made to go with Rosie to Europe as a chaperone, she goes but she doesn’t enjoy the same things that Rosie does. Rosie is into the nightlife. Lilly is more of a home-body, a bookworm—at least until she discovers the wonderful world of aeroplanes. A funeral of a movie star draws the girls apart then they get separated in the crowd. Rosie meets up with her friends and Lilly meets a boy. They both have wonderful times, until Rosie realizes that Lilly never came home that night and then the girls have a spat. The girls attempt to follow their dreams—but their dreams will require all their courage. And when they are forced to decide—will they be able to truly chose between love and adventure versus ease and luxury? BARONESS is the second book in Ms. Warren’s Daughters of Fortune series, but it easily stands alone. At first I found Baroness hard to get into. There were a lot of characters introduced, and the time period 1920’s with flappers, really isn’t a favorite of mine. But after awhile Ms. Warren’s awesome writing and her voice drew me into the story and I began to care for the girls. Lilly was my favorite, a girl more like me, probably, than the more socialite Rosie, but Rosie did grow on me. If you love historical fiction, or Susan May Warren, you’ll want to read BARONESS and any of Ms. Warren’s other books. The only thing really lacking in this book is more of a faith element, though there is some. Great book. $14.99. 366 pages. THE NIV BOYS BIBLE is a bible designed specifically for boys ages nine through twelve. It has a boyish tire-track design on it’s hardcover, and includes special features to help boys dig deep into the Word and learn about God, the people, facts and stories in the Bible. This is a Bible that is sure to appeal to your tweener boy, one that he’ll be proud to carry to church, and even to read at home. The special features will grab his attention and draw his attention into the word. If you are looking for a Bible for your tween boy, then pick up a copy of THE NIV BOYS BIBLE. It is sure to appeal. Recommended. $27.99 hardcover.